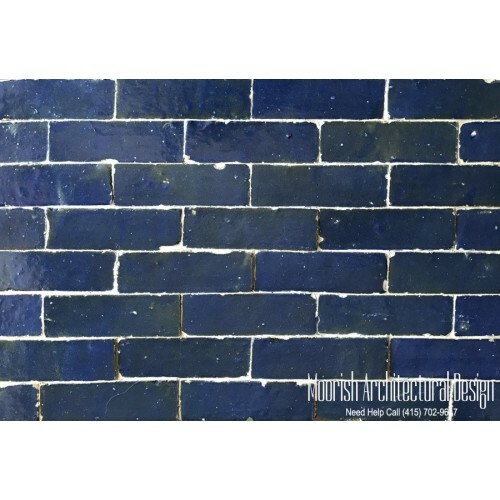 Moroccan Subway tiles also known as Bejmat tiles are handglazed brick clay tiles measuring approximately 6" x 2" x 3/4". 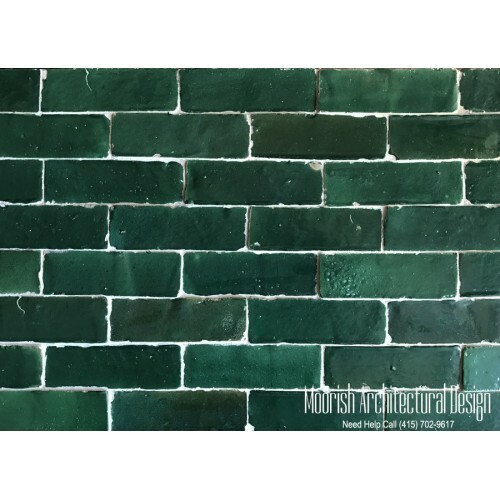 Subway tile is a simple, classic addition to any kitchen, bathroom, fireplace or swimming pool. These rectangular tiles can be arranged in a variety of creative patterns on your walls and floors. They are easy to clean and tightly grouted and have been around for many years. It's been over a hundred years since it was first introduced but subway tile's popularity has proven to be timeless.Today Moorish Architectural Design carries one of the largest selections of handmade Moroccan subway tile and continues to innovate and deliver fashionable new products that are featured in kitchens and bathrooms around the globe. Subway tile has become so popular that you'll find them in homes, restaurants, hotels and just about any place you can imagine. 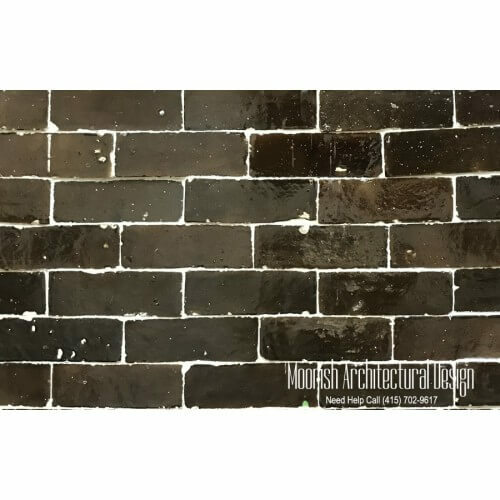 Whether you need a spectacular backsplash in your kitchen or a new look for a bathroom, Moroccan subway tile is not only stylish, but easy to maintain and durable enough to handle the wear and tear on a daily basis. 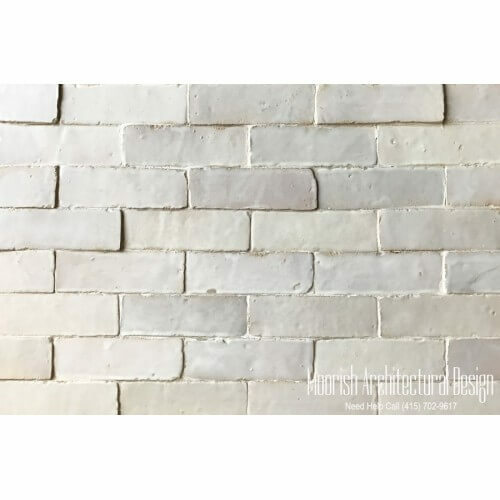 Great for multiple applications, Moroccan subway tile works in commercial and residential environments and is often used on walls in kitchen backsplashes and countertops, in bathrooms around tubs and showers, pool deck, patio floors, courtyard floors and even on fireplaces. 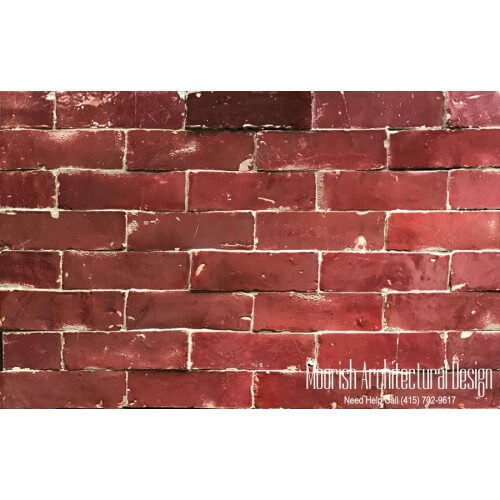 To learn more about Moroccan subway tiles, feel free to email or call our Moroccan tile experts at Moorish Architectural design today.